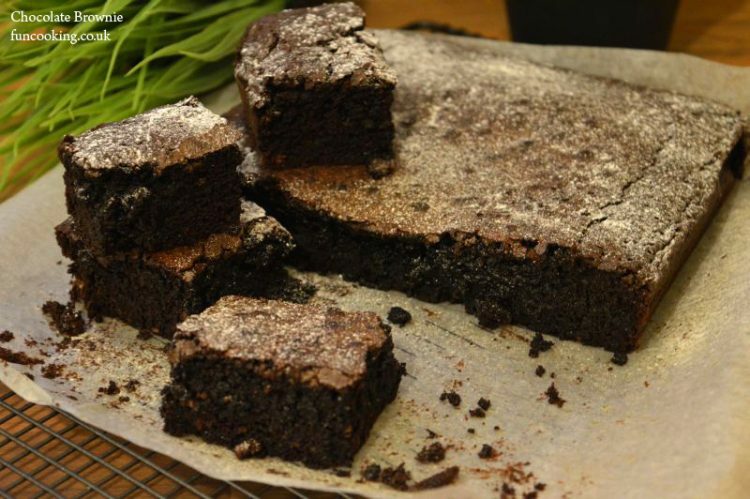 Are you in search of ultimate brownie recipe. 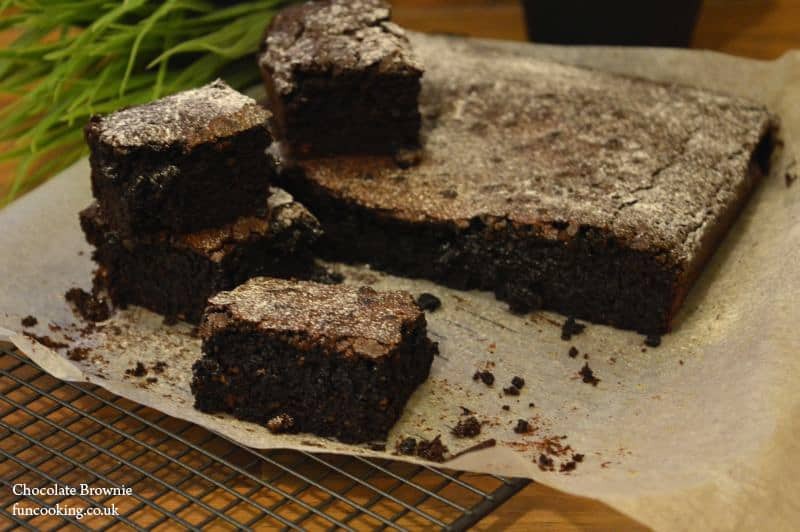 Find no more try my chocolate brownie recipe. Brownie is always a obsession for me I love it when it is so chocolaty and gooey. The best part. 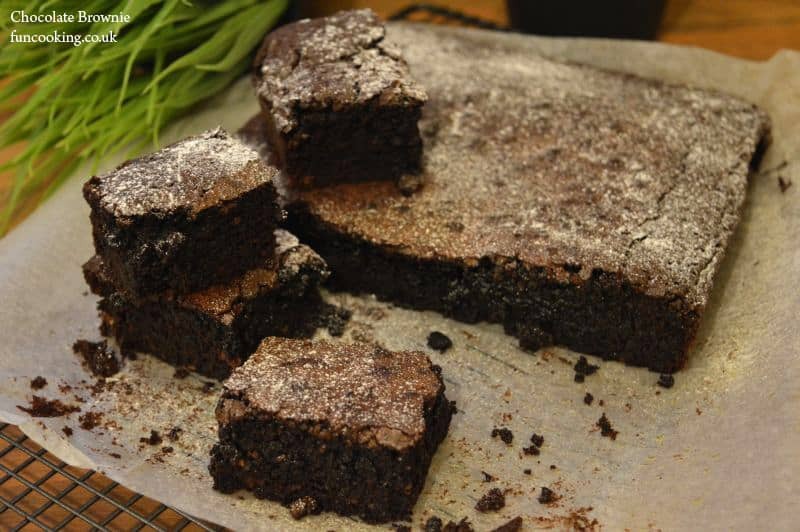 These brownies are thick, gooey, and chewy. They are ultra moist without feeling heavy and under baked. They are perfect to me! and my family also loved them. 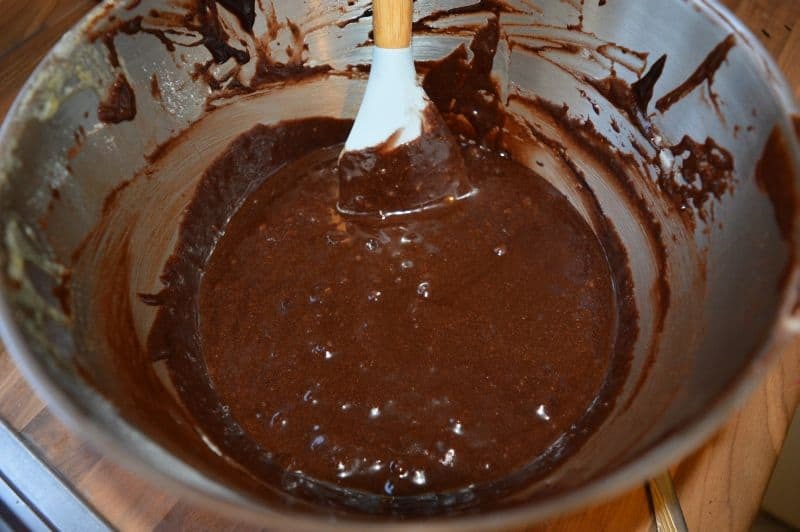 In a bowl add butter, chocolate, coco powder. 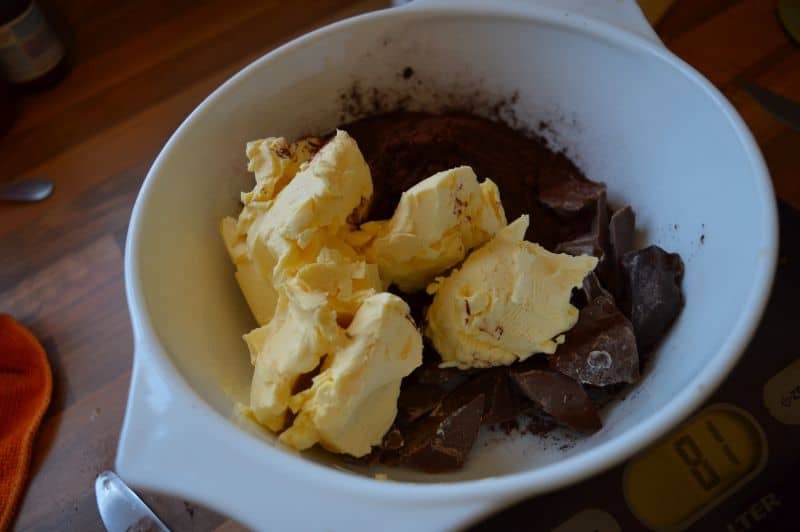 Heat in microwave for 1 minute or heat it on a bain-marie. Heat and stir until nicely melted and mix. Let it cool slightly before using. 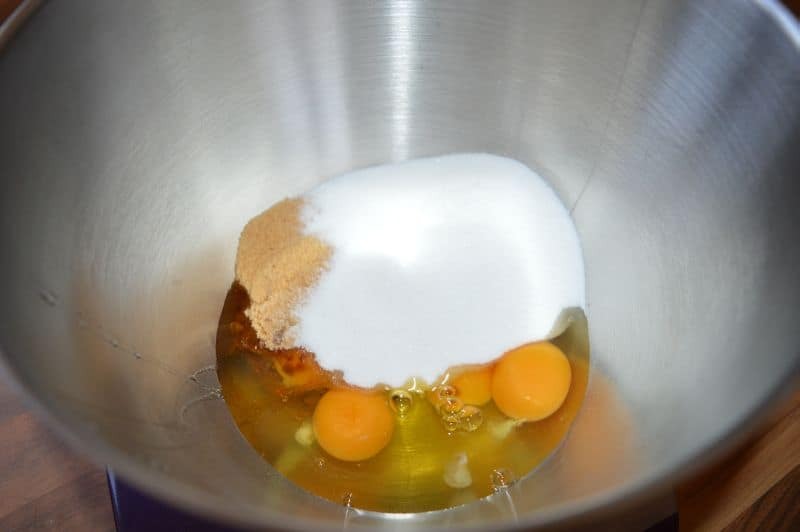 In a bowl of a stand mixer add in eggs,caster sugar and light brown sugar. 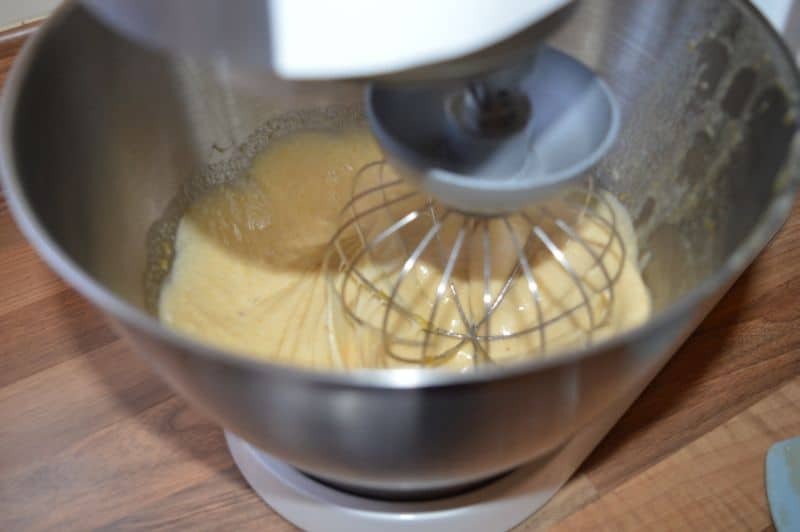 Beat it with whisk attachment for 5-6 minutes or until pale and fluffy. 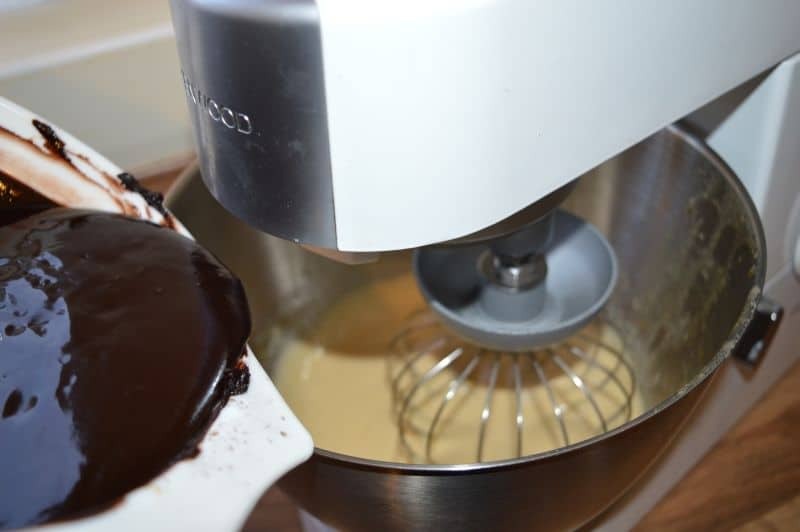 Now while the mixer running on low speed add in chocolate mixer and whisk until mix well not too much. 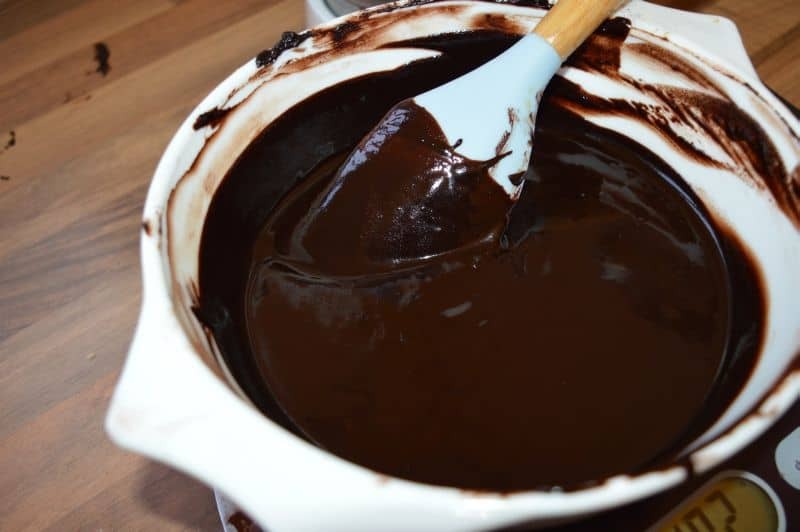 Do not whisk too much after adding in chocolate mixture. Now sieve all self raising flour on it. Fold with a spatula. Brownie mixture is ready. 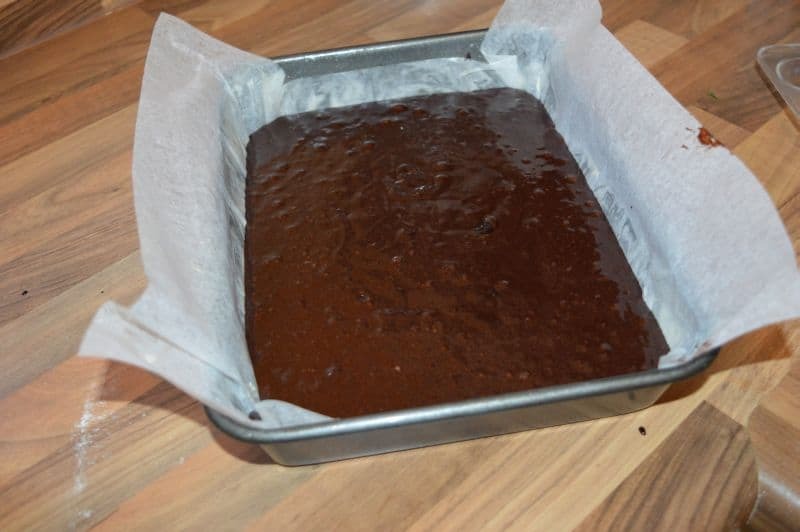 Grease a brownie pan or any square or rectangle pan with butter. 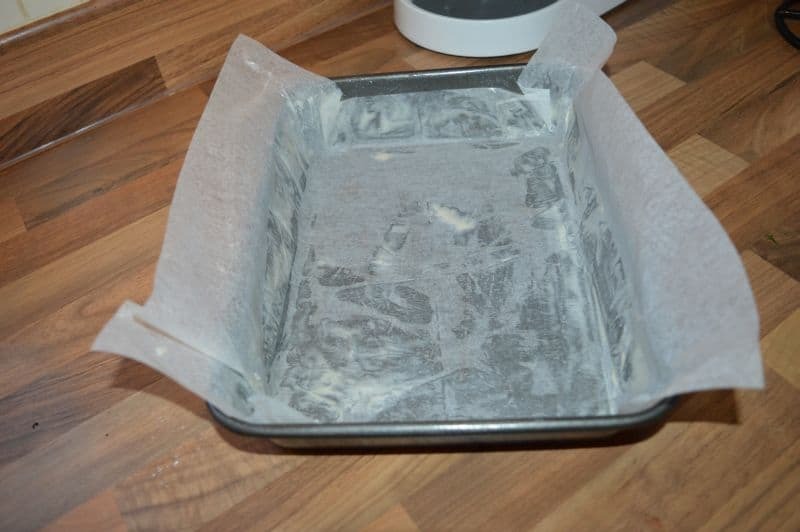 Place parchment paper on it like shown in picture. 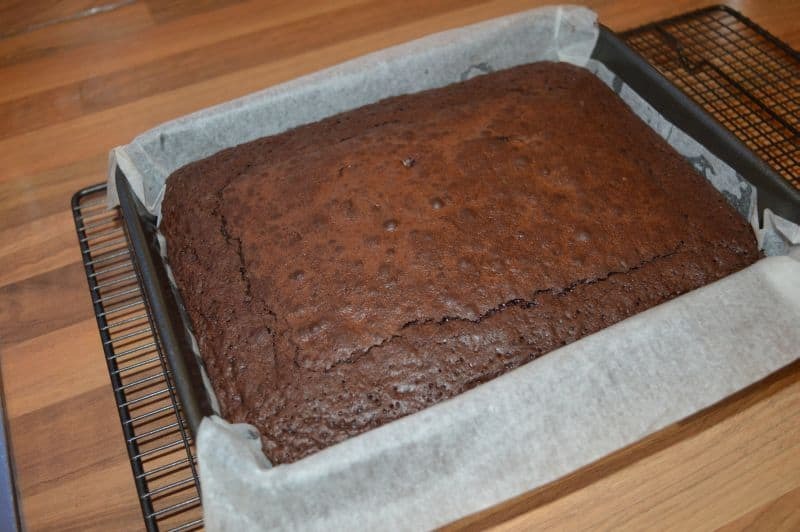 Cut the parchment paper bigger than pan so you can lift it later with brownie. 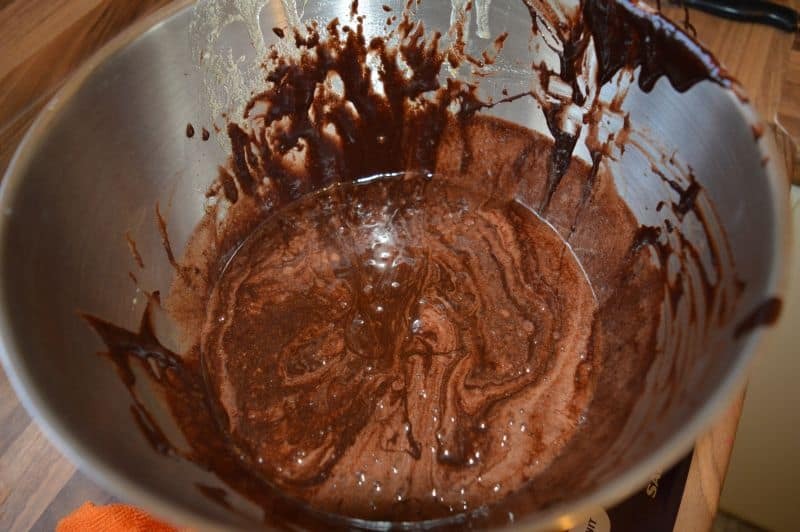 Pour the brownie mixture in prepared pan. Tap it lightly 1-2 times. Now bake in a preheated oven at 160 C for 25-30 minutes. For more gooey center bake for 20-25 minutes. For normal gooey center bake for 25-30 minutes. It depends how you like it. Dust it with icing sugar and keep in a air tight container. 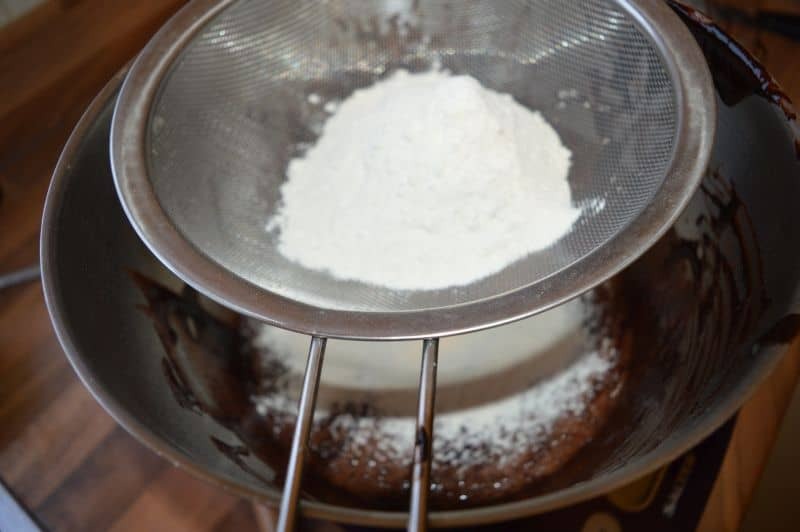 How we can convert plain flour into self raising flour?